In just 15 minutes, Wishpro™ infuses single-shot encapsulated treatments while deploying photo-therapy, M.I.T (magnetic infusion technology) or electrical micro-currents to deliver skin treatments with a “wow factor”. Healthy skin that feels & looks great is the result of a continual state of renewal. New skin cells are constantly emerging, and nourishing those cells before they actually surface will ensure they are healthy and robust. To effectively reach cells, nutrients and treatments must be driven below the surface. Conditions such as Acne, Rosacea & Aging affect the processes which keep your skin vibrant, firm and healthy. As circulation to the individual skin cells slows, nutrition delivered to individual cells is also limited, further reducing circulation. 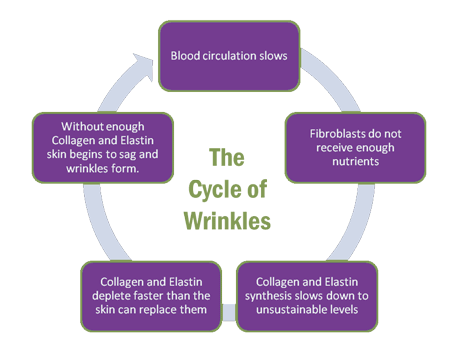 In essence reduced circulation creates a spiraling cycle of skin decay with the presentation of wrinkles, photo damage and/or inflammation. WISHpro™ uses non-invasive (MIT) Infusion Technology to defeat this cycle by driving specialized cosmetic formulations into the deeper levels of tissue, thereby treating cells at the optimal stage. Nutrition and circulation are restored. These NATURAL formulations which are infused evoke the skin’s natural healing processes resulting in healthier, firmer, calmer and younger-looking skin. How does the Magnetic Infusion Technology of WISHpro™ work? Alternating magnetic fields in the WISHpro™ drive carefully selected serums deep into the skin, while the wand transforms the magnetic energy into either Light or Electric currents. All treatments with WISHpro™ use multiple methods/ modalities that treat the skin multiple ways. *WishPro ACNE FACIALS stay ahead of break-out cycles by using a multi-application approach. By combining advanced technologies (blue light), anti-bacterial & calming formulations, WISHPro® kickstarts the skins own healing processes ensuring that it is well exfoliated, free of bacteria and responsive to client-specific skin care at home. How will MicroCurrent Technology help my skin? The WishPro Anti-aging Technology Head employ 500uA of Microcurrent energy to instantly tone and tighten skin. Creates a filed of focussed energy to boost production of ATP (Adenosine Triphosophate). ATP causes muscles to contract and relax, toning and training them to restore their youthful strength. Muscle fibres regain their memory and become firm. Immediate & Visible reduction in fine lines & wrinkles. Delivers nutrients and active ingredients into the skin. Combined with other treatments offered at Clarity Medspa & Laser, WISHpro™ offers our clients a cost effective means of maintaining healthier looking skin.